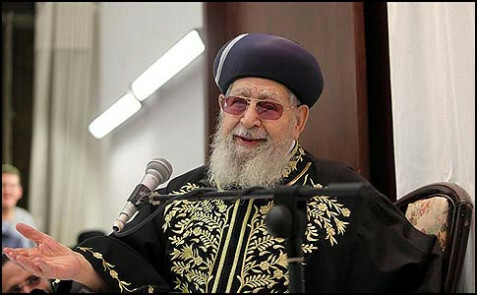 2/3/13- by Yori Yanover The spiritual leader of the Shas movement, Rav Ovadia Yosef, on Saturday night attacked the women of the Reform movement who pray at the Kotel. Rav Moshe Feinstein would side with Rav Ovadia’s opinion, based on his answer to the halachic inquiry (Igros Moshe – OC 4:49): “Can a woman wear a Talit? Answer: No. The Shulchan Aruch rules that it is Yuhara – religious arrogance (Shulchan Aruch, Orach Chaim 17:2). And if it is a Talit of men, there is a problem of Lo Tilbash – the prohibition of cross-dressing.” (source:ravaviner.com).